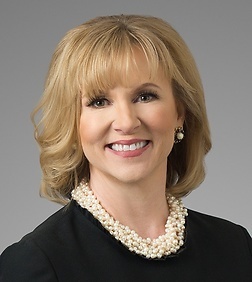 Gemma L. Descoteaux is a partner in the Corporate Practice group in the firm's Dallas office. She is Chair of lateral partner recruiting for the Dallas office. Gemma is a seasoned and practical business partner to clients as they strategically merge, acquire, divest, collaborate and align within the marketplace. She combines her 12 year business background in advanced technology with 20 years of legal experience to work with her clients as they strive to achieve their business, strategic and financial objectives. She represents buyers and sellers in mergers, acquisitions and divestitures; participants in complex domestic, international and cross-border joint ventures and partnerships; providers and customers of outsourcing services; and companies who are in need of sound corporate commercial counsel in a wide range of industries, including technology, real estate, entertainment/news media, manufacturing, business process outsourcing, and healthcare. Gemma has a unique and practical perspective on legal matters as a result of her work on a seconded basis at Olin Corporation (negotiating and drafting commercial agreements, managing a large inter-disciplinary team, and coordinating acquisition integration related matters), her work as a contract negotiator on the business side at Texas Instruments (negotiating complex defense systems and electronics joint venture agreements, advanced development agreements, and intermediate and high volume production contracts ), her work in house at EXE Technologies (providing commercial counsel and IPO counsel), her work on a seconded basis at Computer Sciences Corporation (managing M&A and negotiating strategic alliances), and at ACS (handling securities and board governance matters and negotiating M&A transactions). Counsel to Conduent, Inc. in the sale of its firehouse software business suite of emergency records management products to ESO Solutions, Inc. Counsel to Conduent, Inc. in the sale of 3 healthcare consulting businesses to ATOS, SE. Counsel to Wrapports Holdings LLC in the sale of the Chicago Sun-Times and the Chicago Reader to an investor group including Edwin Eisendrath and the Chicago Federation of Labor. Counsel to AIM Media Midwest, LLC in its acquisition of the Ohio print and online newspaper publishing assets and commercial printing assets of Civitas Media LLC. Counsel to AIM Media Indiana, LLC in its acquisition of the Indiana print and online newspaper publishing assets and commercial printing assets of Home News Enterprises. Counsel to an international company specializing in biopharmaceuticals in their acquisition of a world-class facility for the development and manufacture of life-saving biopharmaceuticals and biotechnology and vaccine capabilities. North American M&A counsel to a French public company in the negotiation of international joint venture arrangements in excess of $2 billion; the negotiation of multiple transformative acquisitions, including the acquisition and subsequent operation of steel manufacturing facilities in Houston and Youngstown, Ohio and the acquisition of a steel drill pipe manufacturing facility in Houston from a Canadian corporation; the construction of a $1 billion rolling mill in Ohio; and general corporate matters. Counsel to a U.S. public provider of technology enabled business solutions and services, including cloud, cybersecurity, big data and mobility, in the divestiture of multiple business units exceeding $1 billion in the aggregate and the formation of strategic joint ventures. Counsel to a U.S. public business process outsourcer and integrated information-based loyalty and marketing solutions corporation in connection with numerous private acquisitions and the negotiation of outsourcing service contracts. Counsel to a U.S. public business process outsourcing and information technology services provider in connection with multiple private acquisitions; advised the company regarding public company governance and securities matters. Counsel to a leading independent pharmaceutical company in multiple public offerings, acquisitions and divestitures exceeding $1 billion in the aggregate, including the acquisition of a public pediatric pharmaceutical corporation; long-term licensing of pharmaceutical products and technologies; pharmaceutical development projects; the acquisition of various pharmaceutical products; and international transactions involving the acquisition of the North American rights to the dominant natural, cosmetic wrinkle filler. Counsel to multiple newspaper publishing, printing and distribution companies in the acquisition and divestiture of more than 100 suburban newspapers; the negotiation of long term print and distribution agreements.